Twitter is unique among social media platforms because it presents a focused, direct message; it has to, considering the character limits. The micro-sharing platform is a powerful tool for developing brand identities and engaging with audiences, but it takes more than regular tweeting to get the results you want. Effectively using Twitter for content marketing takes a certain degree of finesse and an understanding of how both the networking service and its users work. If you want followers to share your tweets, don’t use all 140 characters. This is because people like to share their thoughts or messages alongside a link or quote and taking up the world limit makes this harder than it needs to be. Try keeping your messages within 110-125 words to allow followers enough room to throw in their own thoughts. This applies both to your own website’s content and any outside links you decide to share. Twitter is a very mobile-friendly application so you should assume that at least half—likely more—of your audience is on a smartphone or tablet. By choosing links that are mobile-friendly, you make it easier for them to see what it is you’re offering. It doesn’t take much to test whether a page is mobile-friendly either. Just try accessing it from your own smartphone or tablet and see how it goes. Pay attention to layout, loading time, font size, and how easy or hard it is to navigate or click on buttons. Tweets tend to last around eighteen minutes before they get stale and are bumped off a user’s timeline. There are also periods throughout the day where Twitter users are more or less active than others. These factors mean that you can reach your audience best by learning about their ideal times of day and tweeting during the appropriate moments. Tools exist, like Tweriod or Buffer that can be employed to more effectively track when these high or low activity periods are. Some, like Buffer, even let you set up tweets in advance to go out at specified times. This can be a great timesaver. Your business’s twitter account can end up following industry leaders, news sources, top bloggers, competitors, and more as you try and stay on top of developments in your field. Navigating through such a large feed can be exhausting and slow when trying to discern the most useful information. Twitter lets you organize your followed users into different lists. This keeps Twitter feeds segregated from each other and allows you to explore them in isolation or in concert with others as you see fit. Joining the bandwagon can be a good boost if you do it cleverly. As much as how the Salvation Army managed to use #TheDress to make an anti-domestic violence advertisement, the topic you use does not need to directly relate to your core business. Finding trends and popular hashtags is easy thanks to tools offered by Twitter itself along with other sites like Hashtags.org or Trendsmap.com. Finding an original way to tap into them requires some creative thinking, but you can always just toss in your two cents. Not every hashtag or trend needs to be the start of an innovative or clever response, sometimes they can just be ways to join in on conversations. Twitter has a search tool that you can use to find tweets and conversations about any topic. By finding and chiming in on ongoing discussions you can better establish yourself as an authority. The best kind of conversation to join is one that’s naturally open—someone sharing the results of a cooking attempt or asking a question about hardware, for instance. Pay attention to any tweets that may be questions or comments about your kind of business. Someone inquiring about good coffee shops in downtown Toronto could give you a shot to plug your cafe, for instance. Despite only being 140 characters, tweets don’t always hold your audience’s full attention. People are more likely to click from the first quarter of a tweet rather than at the end. This goes against how we normally structure comments or posts, but it does work. The retweet button is convenient but not the best for content marketing purposes. This is because retweets tend to only appear to direct participants in a conversation, imposing unwanted limits on your potential audience. Since retweeting can both attract followers and improve relationships with other Twitter users in your industry, a workaround is needed. Instead of retweeting, copy the message into a new tweet of your own. If it’s a direct quote, mark the beginning with “RT” next to the original user’s handle. If you’ve modified it, like for brevity, include “MT” instead. These are basic courtesies that both the original posted of the tweet and anyone reading it will appreciate. 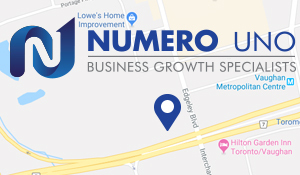 Numero Uno Web Solutions is a provider of search engine optimization, content marketing, and traffic building solutions to startup and small companies from all industries and fields. We stay on the pulse of industry changes and adapt our practices to produce quality SEO, content marketing, and traffic building plans to fuel the growth of businesses across communities. Click here to learn more about growing organic traffic, SEO techniques, and how we can help improve your search profile.